Deca Sports 3 is the latest instalment of this long running multi sports game for the Nintendo Wii and is by far the best edition of them all. The game has finally received cutting edge graphics which make the events that are encased within it that much more realistic than the previous versions. Brilliant game all round and it fully deserves the five stars it has received. 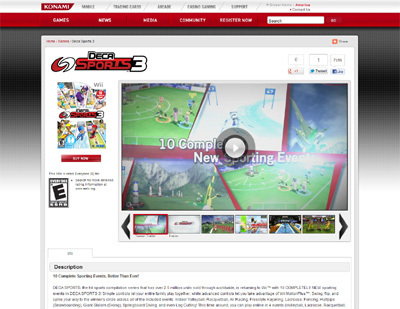 We have also compiled a Review System for this, of which Deca Sports 3 is Rated as Five Stars, the highest possible score available from the Game Review Team.